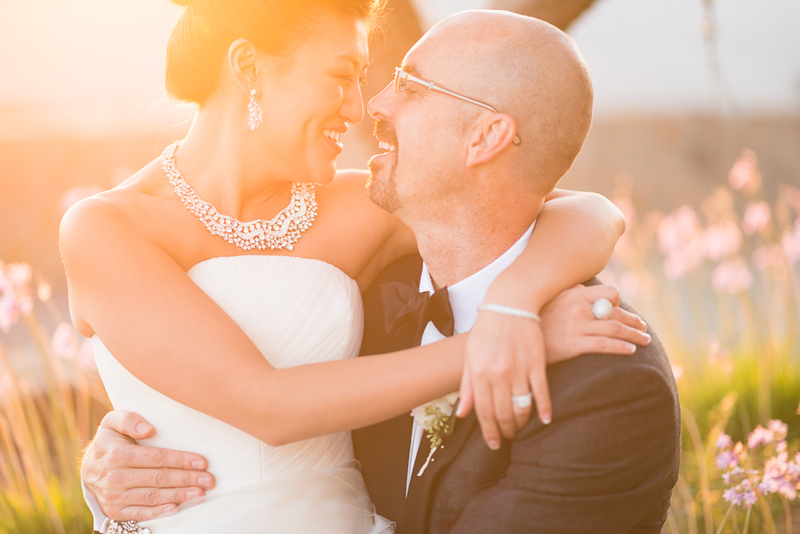 Katie and Trevor’s Sonoma destination wedding was the perfect way for them to begin their life as a married couple and for me to close out my wedding season. I mean, I don’t think I’ll ever get tired of shooting weddings in the Rocky Mountains of Colorado, but every once in a while a change of scenery can really be inspiring. That’s probably why Katie and Trevor decided to have their wedding on a hilltop in wine country and invite their family and closest friends to join them. The whole wedding had an elegant yet refined feel to it. From Katie’s Vera Wang dress and Trevor’s YSL tux to the pastel palette of the florals and linens, nothing screamed “Look at me! Notice me!”. The entire wedding had a quiet confidence about it. The private residence and estate where the wedding was held was definitely impressive, but the fact that it was open to everyone to explore and enjoy made it feel less like a museum and more like home. I guess this all kind of lends to the relaxed feel of the weekend as well. I was fortunate enough to have been invited to spend the entire weekend with Katie and Trevor’s friends and family at the residence. There was definitely plenty of wedding and work going on over the weekend, but there was also relaxing by the pool, enjoying drinks with new friends and exploring the surrounding areas. It seemed like family and friends enjoyed the escape from the ordinary and I know that I did, too. Thank you Katie and Trevor for having me along to photograph your destination wedding. It was a wonderful way to close out my 2013 wedding season!